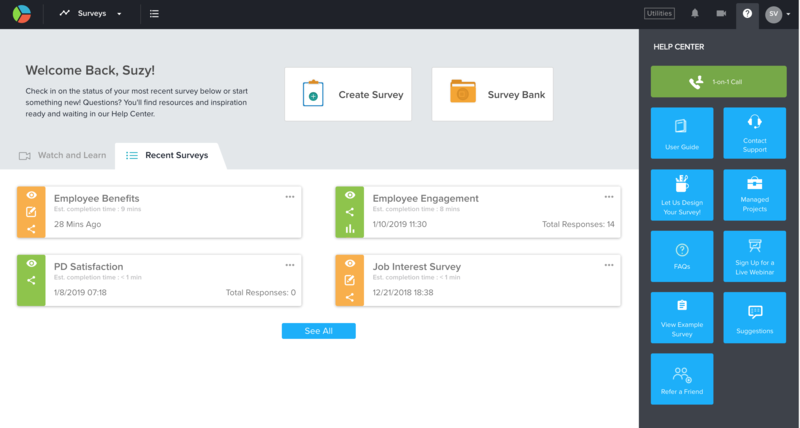 Form creation is similar to survey design. 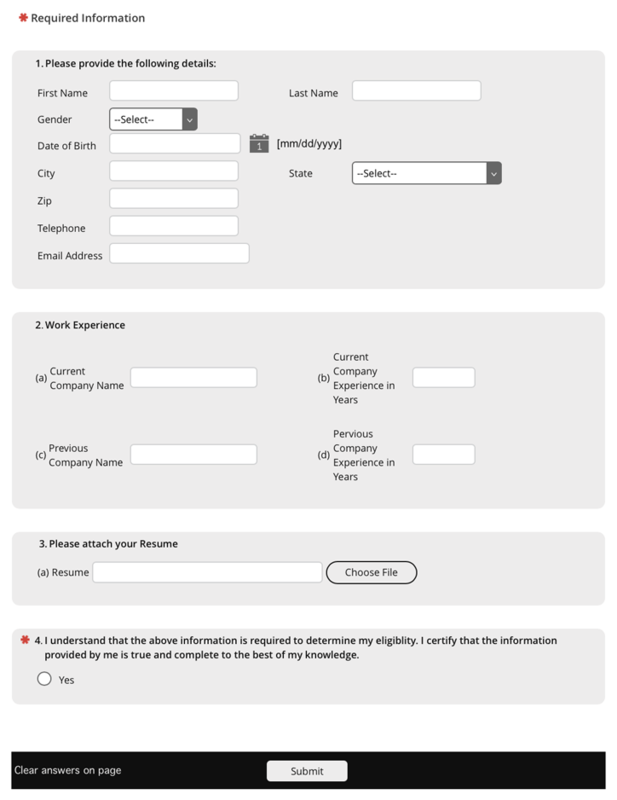 It’s easy to create a form by including a few key questions to meet your requirements. There’s nothing formal required here – just a few best practices and some key questions to answer. If you haven’t created one yet, think of all the forms you use now… Wouldn’t it be easier to have at least one of them online? Luckily, it can be – in minutes! Survey Title: Assign a unique name to differentiate your form from other surveys. Survey Primary Language: This is the language in which your form will be created. The primary language cannot be changed after questions are added to the form. 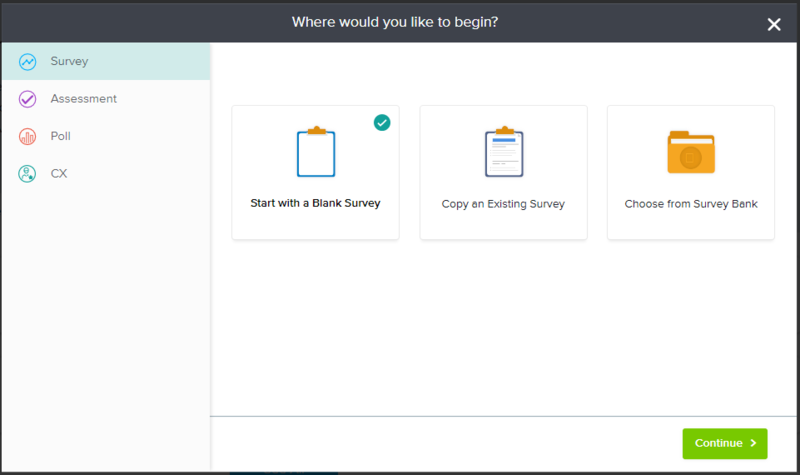 Select Additional Languages: Allows you to create the survey in multiple languages other than the primary language selected. This is optional and can be set/modified anytime from Settings under the Design tab. Click on Start Survey to build your first form. Drag and drop a Demographics question from the left-hand side panel. Based on the needs in your form, select from the a list of pre-defined fields under Demographics and click on Save. You may preview the question, if you wish, to review its display online. Use the ‘eye’ icon in the top right of the screen to preview your form at any time. You may now drag and drop a Multiple Text Box question to ask any questions that require to participant to include multiple fields of details. Preview the question, as desired. You can also add an Attachment question for respondents to upload their information through files. Preview the question, if you like. A Radio Button question is a good choice for a final confirmation/declaration statement. Any questions that are critical can be marked as mandatory. However, do not mark too many questions as mandatory or participants may drop out. Preview to see how it looks. Your form is now ready to go live! Preview the full form and share with your team, then get ready to post start gathering results.